Those familiar with the burgeoning LA underground metal scene are aware of countless great bands who operate within the community. 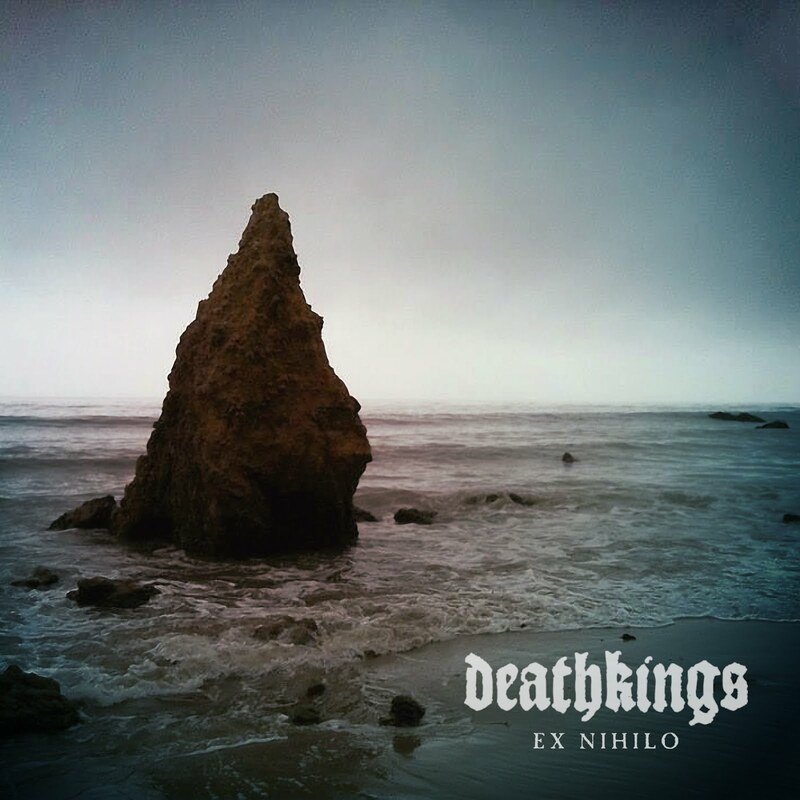 One of the greatest up and comers in this community are Deathkings, a band who have been marred by strife and ill fortune but have, instead of throwing in the towel decided to drive forward and craft incredibly compelling and powerful sludge inspired by the likes of Neurosis and Yob. It makes for a thrilling listen from a band who seem to eagerly embrace new challenges and consistently go for the throat. This is some of Deathkings darkest work to date. Incredibly tortured and driving towards the bleaker side of the human psyche, Ex Nihilo is a record that terrifies the listener and consistently plumbs the depths of the human condition. The monochromatic assault of this two track EP's opener Absolution is like a trudging journey to the grave. Meanwhile, the elegant poetry of the guitars counterbalances the oppressive darkness, reminding us that Deathkings, despite their gritty exterior are bringing far more to the table. Crafting harsh realities through simplified soundworlds, Deathkings have fused dark and light in a twisted matrimony. I adore the bands ability to shift from harsh single color riffage into much more elegant synth powered moments of sonic delicacy. While the recording feels a bit rough throughout, sometimes not paying tribute to the simple elegance that Deathkings are trying to achieve, in some ways this ads to the sheer punk rock fury the band brings to the table. The songwriting is clearly there, and the execution is unique, relying not just on crushing amps but also padded out synths coming in to provide life in a world of decay. Get on it.